This 20sqm kit comes with everything required for a competent home DIY individual or skilled underfloor heating installer to complete the fitting easily. This kit will provide 20sqm of coverage and comes with all the materials and connections for quick and easy installation. – 15sqm at 150mm pipe spacing. Close spacing for conservatory and high heat loss areas in your home. 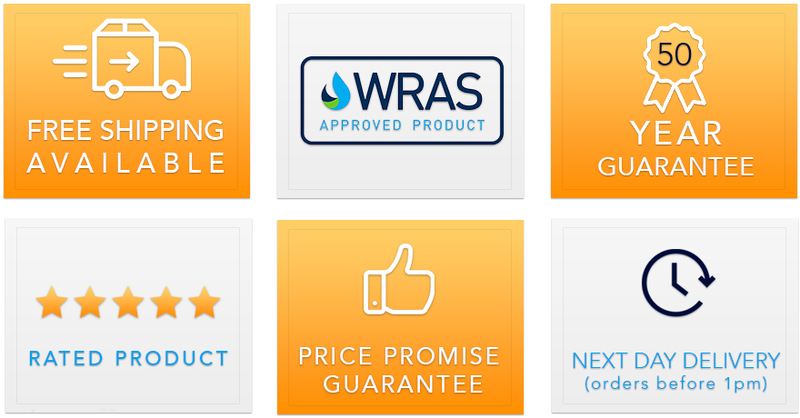 Free delivery within the UK & 50 Year Guarantee! 10sqm Single Zone Wet Underfloor Heating KitsThe Soleheat 10sqm kit is designed to easily run off an..
12sqm Single Zone Wet Under Floor Heating KitThe Soleheat 12sqm kit is designed to easily run off an.. 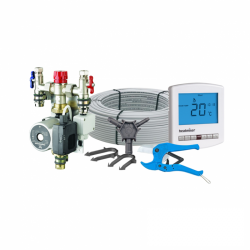 The 100sqm underfloor heating kit comes with everything required for a competent home DIY indiv.. This 120sqm underfloor heating kit comes with everything required for a competent home DIY indi.. This Water 140sqm Single Or Multi-Zone Underfloor Heating Kit comes with everything required fo..